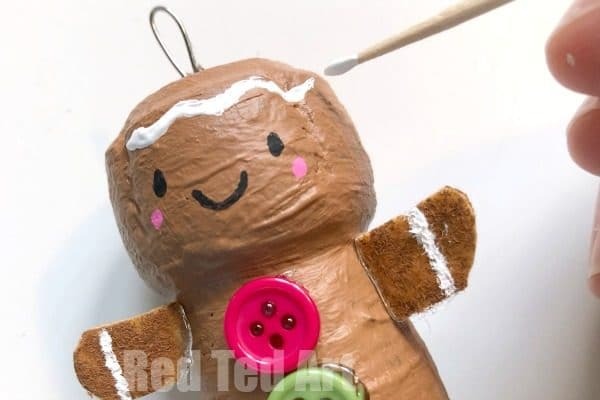 Run run as fast as you can… it is time for a super duper cute Gingerbread Man Craft! 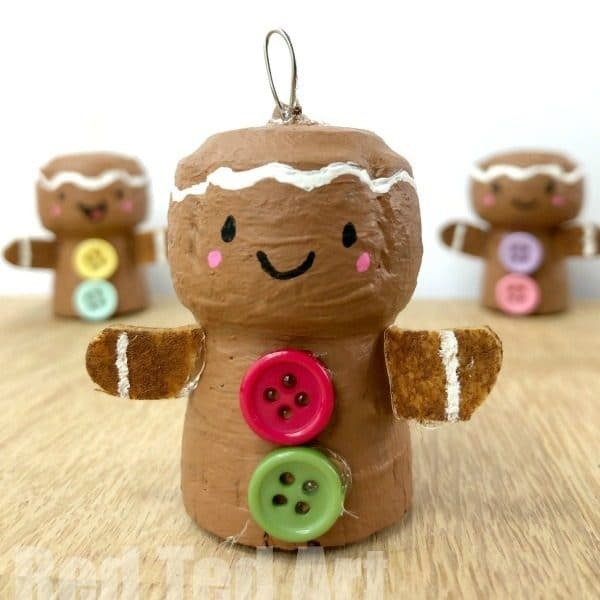 A NON Edible Gingerbread Man Ornament that is. This one is for keeping! Whoop. 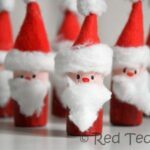 This really is the season to get crafty with corks. 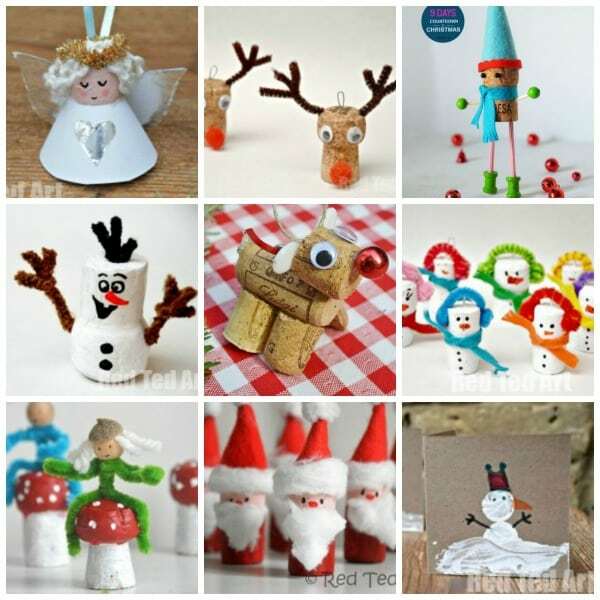 I seem to have gotten a little carried away with all our Cork Christmas Ornaments this year. 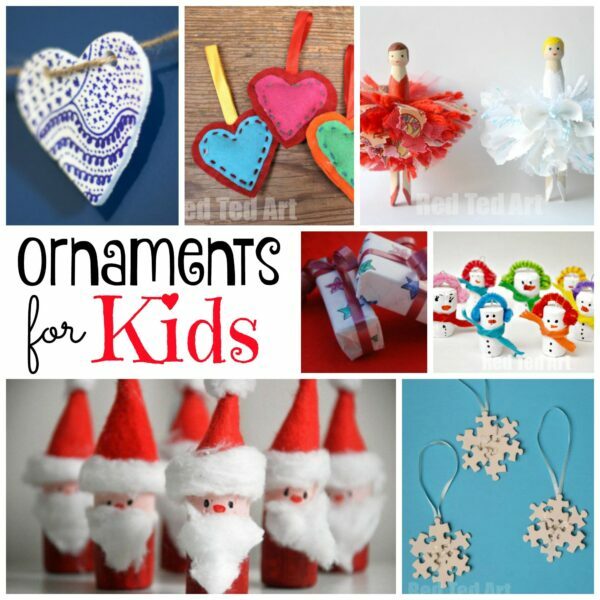 But the thing is: Cork Ornaments are quick and easy to make and just SO CUTE! 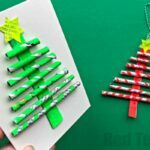 I think these Cork Christmas Ornaments are great for selling at Craft Fairs or school fairs, as well as fabulous for adoring gifts with this Christmas. And today’s DIY Ornament??? 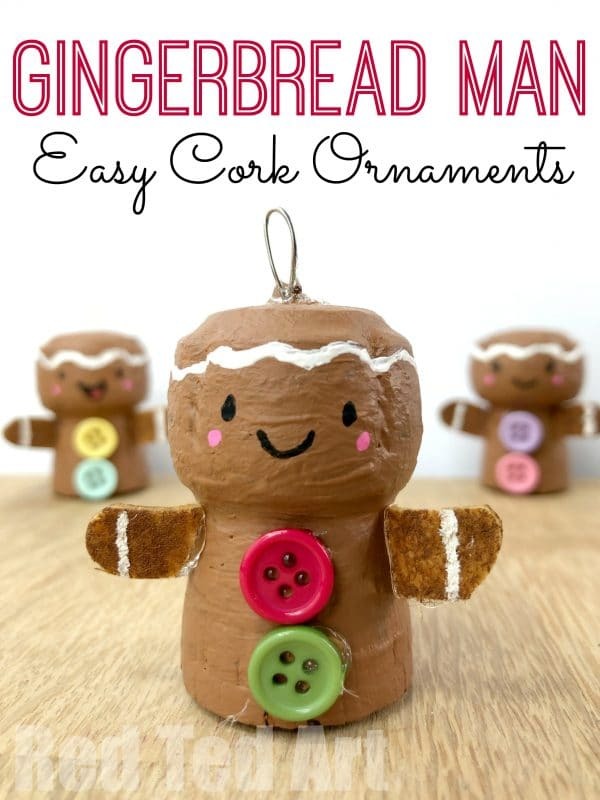 Is this oh so cute Cork Gingerbread Man Ornament Craft. Aaaaah. Just so cute!! 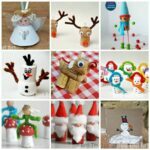 I need more Gingerbread Man Crafts here on Red Ted Art I think! Watch our quick little video or read the instructions below! 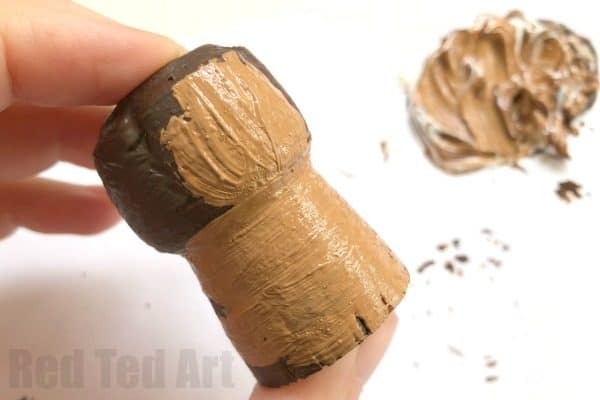 Begin by painting your cork in a Gingerbread Man colour. 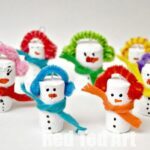 I actually ended up painting mine twice.. as the first Gingerbread Man was too dark for me to later add features too! Doh. 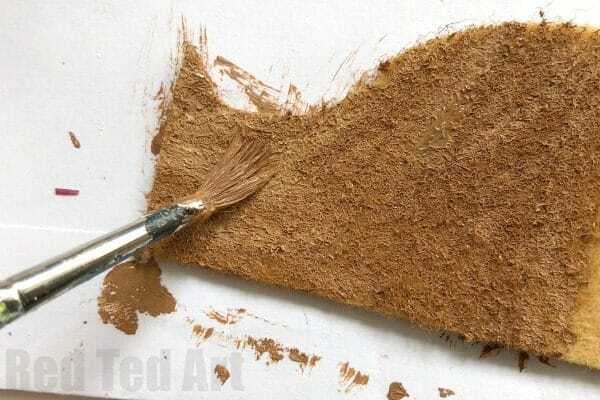 So I added a little white to my brown acrylic paint and thought that made a great Gingerbread Man decoration colour. 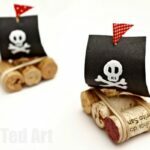 To be fair.. it is only a little darker than the cork itself.. so I wonder if you can get away with decorating a cork without painting it first.. but you would have to make do with all the cork writing! Your call! 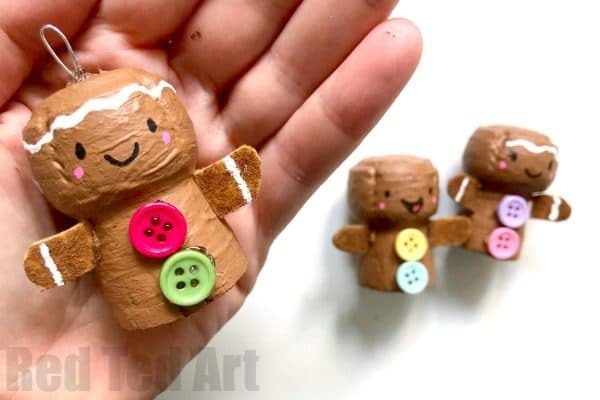 I took advantage of some excess paint and painted a piece of brown felt I had – this is so that the Gingerbread Man’s arms matched the body of the ornament better. It isn’t strictly speaking necessary. 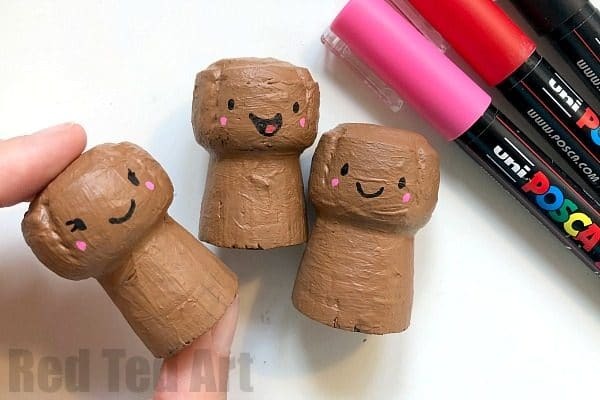 Once all my painted corks had dried fully I used some Posca Pens to add features. If you don’t have these pens, you can use a fine paint brush or toothpick to add details in acrylic paint. I decided to make different Gingerbread Man faces – my daughter says she is super pleased that there will be Gingerbread Lady Ornament too! 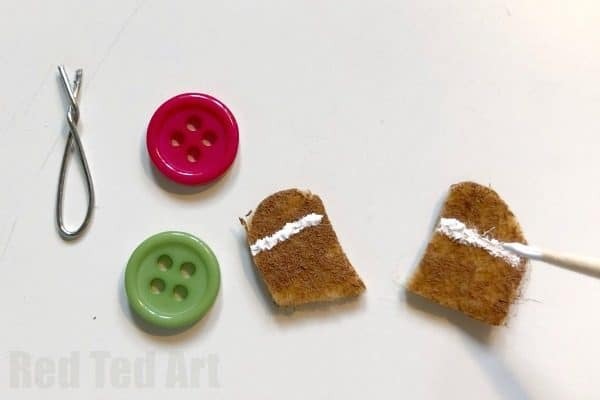 Adding the final touches – I painted some white lines onto the Gingerbread Man’s felt arms. Found some small buttons and a little craft wire for hanging. 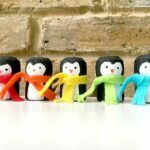 If you can’t find small buttons – either make some out of felt (maybe even add a stitch to the middle) or use paint. 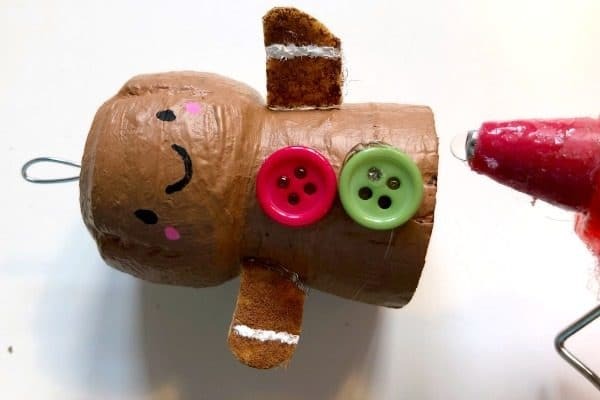 To secure the craft wire I used some scissors to make a hole in the top of the head, tipped the wire in glue and popped it into the head of the gingerbread man. 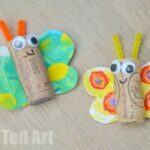 You could actually add the craft wire at the beginning… that would give you something to hold onto when painting the corks! Hot glue gun the buttons and arms. I found it easier to add a strip of glue to the arm and then place that onto the cork.. and the same with the buttons. 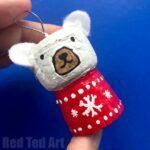 I decided just one final detail was missing and that the Gingerbread Man Christmas Decoration needed a white band around its head. And done… isn’t it the cutest?!? 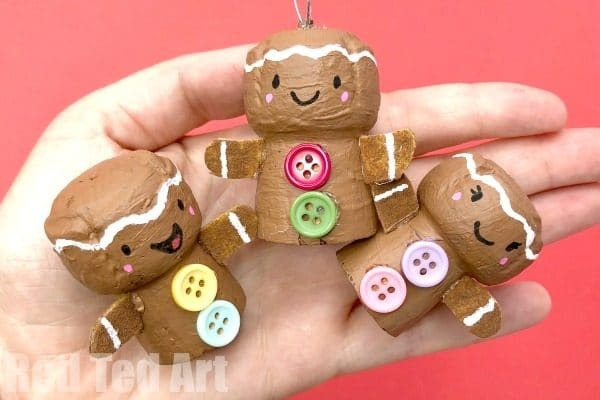 Now off to finish the other two Gingerbread Man Ornaments!! !